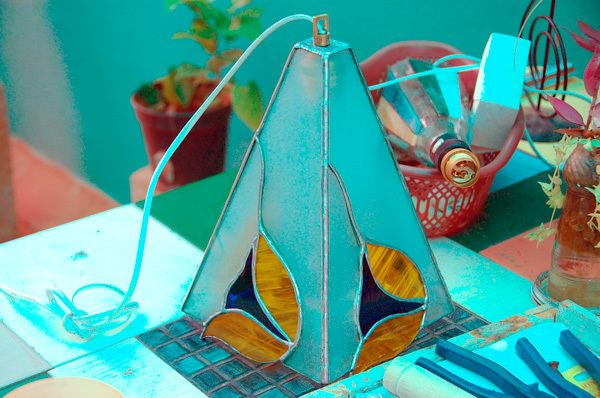 My friend Anj told me about Uncle Patel's glass-cutting class and at first, I was apprehensive but when I found out that Tiffany's lamps were made out of cut stained glasses, I signed-up right away. Mr. Patel run his little "school" on his balcony, which is also where he does gardening. He'll give you a little history on the glass cutting industry but the hands-on teaching is actually done by his assistant, Murli. Sure I've cut my hands numerous times but according to Mr. Patel, it's baptism and everyone goes through it at least once. 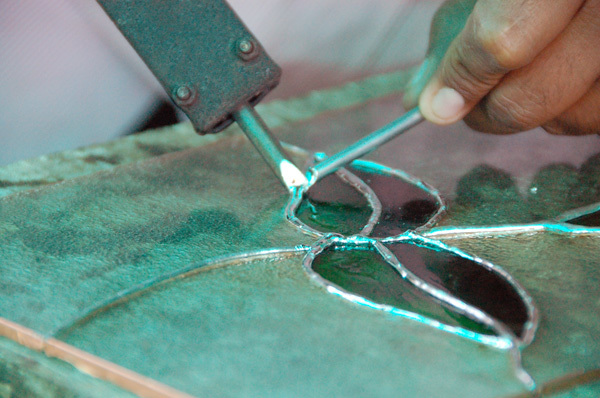 Glass cutting is not all you will learn at Mr. Patel's but it is the most important skill. After cutting, the sides of the glass are made blunt with a grinding stone and then covered with thin strips of foil. Finally, soldering is done to stick 'em all together. 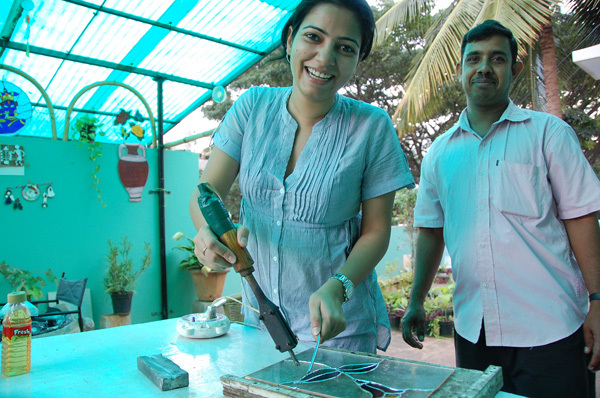 Here's Anj happily soldering her window glass with Murli watching attentively. What did I say about "watching attentively"? It's no Tiffany's lampshade but it's a lampshade I made, with Murli's help of course.